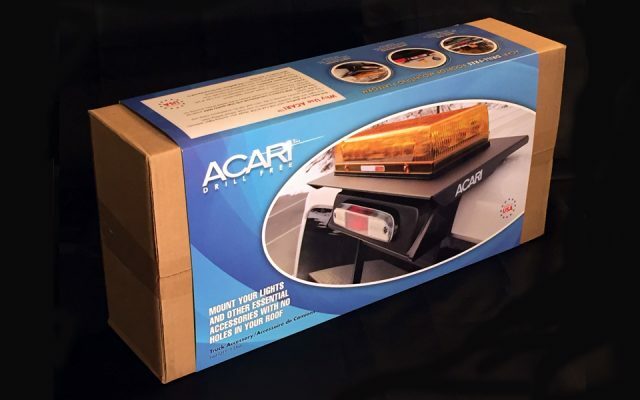 Kelly Design recently designed a retail packaging sleeve for ACARI Products, Inc. Acari constructs roof top mounts designed to make mounting any roof top accessory a simple, and damage free process. 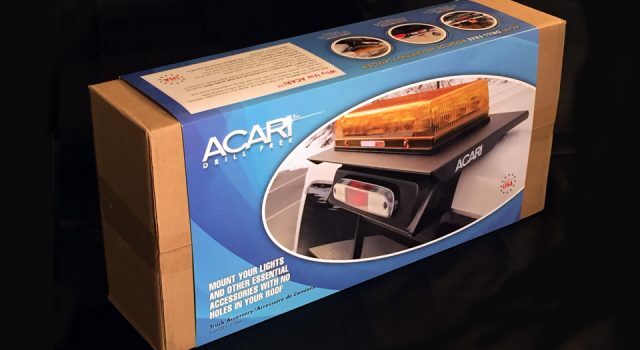 The products ship in corrugated containers ranging from 24″ (shown) to 36″ in width. The flexible sleeve design was formatted to accommodate four different sized products. 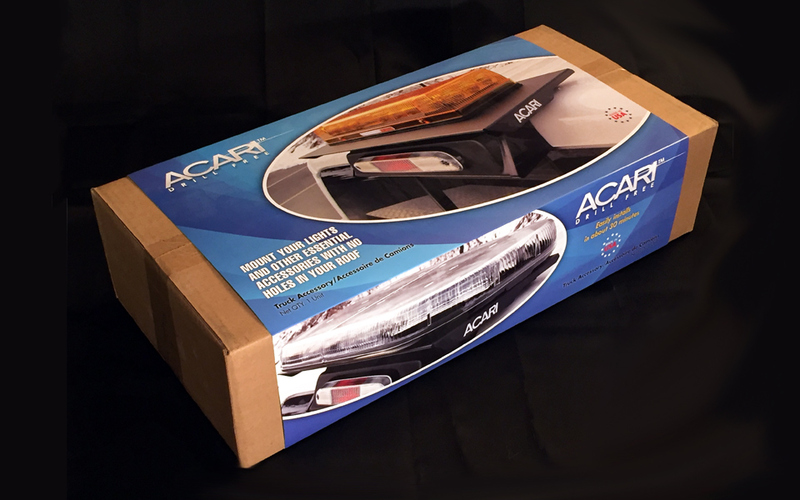 They were printed, scored and delivered flat with an adhesive glue strip for adhering to the corrugated containers.